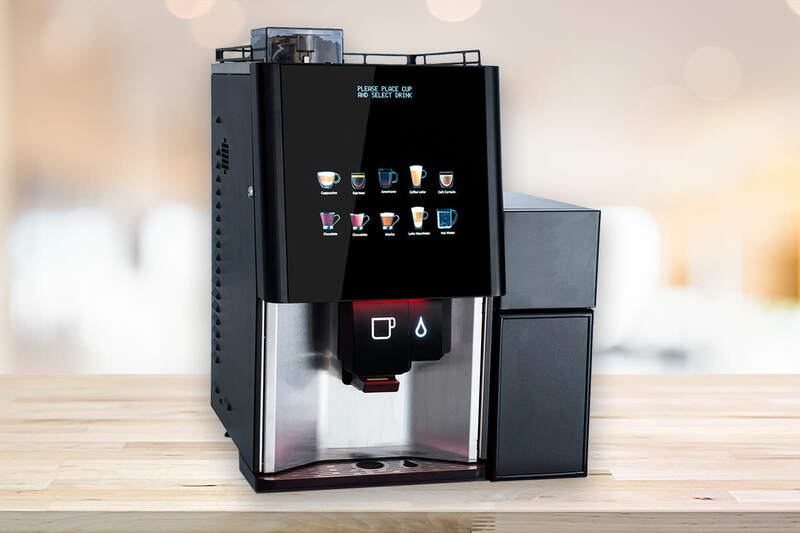 The Sapphire is a professional machine that uses fresh milk to deliver top quality beverages that coffee lovers will really appreciate. 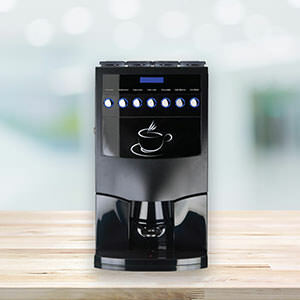 Finished in smoked glass and stainless steel, the Sapphire provides a complete hot beverage solution for your work place, offering a full range of speciality drinks including Italian style espresso, cappuccino, café latte and café mocha, plus freshly brewed teas and hot chocolates. A key feature of the Sapphire is flexibility. 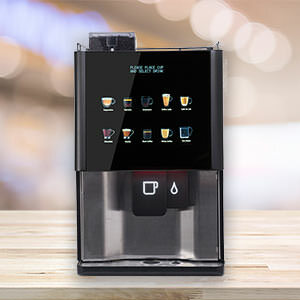 For example each beverage recipe can be customised using a drink programming system and colleagues that enjoy a longer drink can choose the Go-Large option to receive two cup sizes at the push of a button. The ‘fresh milk’ technology includes a fridge which can be can be accessed from the front of the machine for ease of use and accommodates most industry standard milk cartons. Plus a pressurised boiler and frother that foams cappuccinos and café lattes barista style. The milk system is cleaned automatically after every service ensuring delicious, fresh tasting drinks every time. 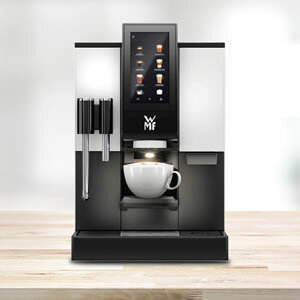 Excited to see how the Sapphire fresh milk bean to cup coffee machine looks and performs in your office? So are we, let's organise a demo.